We are very excited to announce the opening of the very first all Hebrew Library in Orange County. Located inside the Hebrew Academy school library, community members will have the opportunity to check out books written exclusively in Hebrew. We invite you to attend the grand opening on May 5, 2019 from 10 a.m. - 12 p.m. on our campus. This even is for ages 8 and under. There will be a story time in both English and Hebrew, arts and crafts, bounce house, and snacks. You can purchase tickets here for $7 per person. 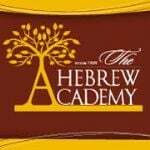 At the Hebrew Academy, we offer a special program to help our fifth grade students transition successfully to Middle School. Middle School is a time of tremendous physical, emotional, and intellectual development. Helping our students transition smoothly and easily ensures their academic, as well as their social and emotional success! New school years are exciting, but for our little ones starting Kindergarten it can be exciting and nerve wracking all at once. Kindergarten jitters are completely normal. Here are a few ways you can help them be prepared and less anxious on the big day! Create routines at home to set your child up for success! Kindergarten requires independence and the ability to follow directions. Help your kid get into this routine by having them put their clothes away, cleaning up toys, setting the table, etc. These types of activities will help your child feel comfortable in the classroom. This week, the children participated in a seder. This was our introduction into Pesach. Why start with a seder? Aren’t they usually done right before Pesach? The purpose of beginning our Pesach journey with a seder is to enhance the children’s Pesach experience. Being able to experience the sights, sounds, smells, touch, and tastes of the seder, makes Pesach so much more real for the children. When we talk about all of the concepts at the seder and create our haggadahs, the children will be so able to process the information properly because they experienced it. Each child had a chance to share what they liked about our seder. 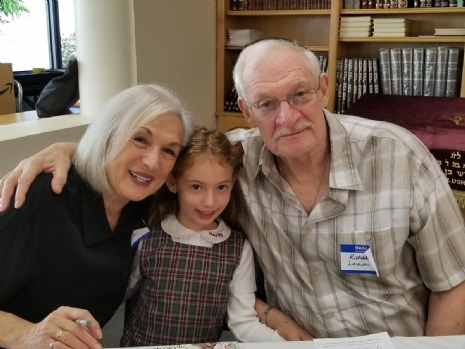 A wonderful annual event took place on January 31st at Hebrew Academy of Orange County to connect students and their families over education, values, and traditions. 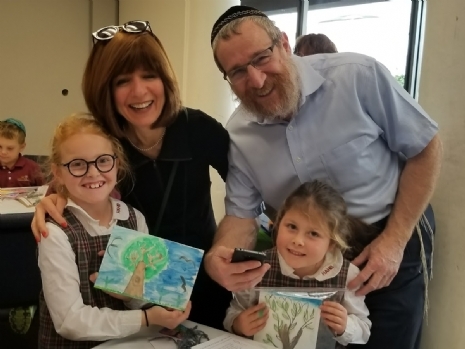 The school’s annual Intergenerational Day took place on the Hebrew date of Tu b’Shevat, the Jewish new year for trees with many related activities and festivities including planting etrog trees in the school’s Israel orchard as a symbol of continuing life and passing on of traditions. On Thursday, January 25th, the Parent Association of Hebrew Academy is proud to celebrate Author's Day with your students. We will be visited by two authors, David Newman and Claude Abraham. Mr. Newman is an accomplished and award-winning author of children's books. For more about his books, you can check out his website. A festive celebration will be highlighting the fantastic community kindness projects Hebrew Academy of Orange County students have done. Taking place on Saturday, January 20th, “Lighting Up the Night” will be the annual Mitzvah Night to celebrate these great projects. With each grade involved with a different project to help out various non-profit organizations in the area, there will be presentations by students, as well as representatives of the respective organizations. The organizations include, but are not limited to Bubbe and Zayde's Place, Simchat Shabbat OC, Support Our Troops, and Friendship Circle, amongst others. When it comes to seeking out a company to outsource your writing needs, have you considered elementary school students? An entrepreneurial group of fifth graders at Hebrew Academy of Orange County has created a company that does just that. The company, Fressil, writes wonderful, unique stories that people specially request. They are well-written (thanks to the Wondering Writing program at Hebrew Academy) and hand-delivered, selling for about $1 per story. 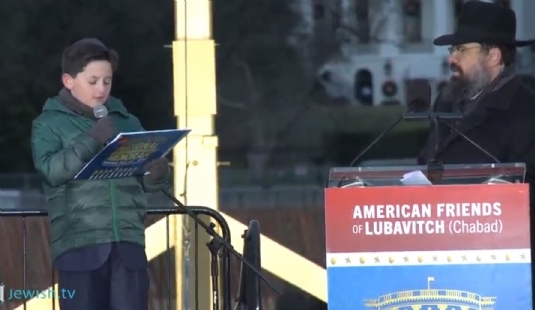 Imagine getting flown to the nation’s capital to celebrate Hanukkah for winning a national essay contest. Now imagine getting to light a massive menorah while there. That is something magical that recently happened for one of our students right here at Hebrew Academy. Our fantastic Kindergarten class has been hard at work and play. They have all made the huge transition from Pre-K into their first school class beautifully! We are so proud of them! The children are learning to recognize their numbers, letter names and sounds, and sight words. They each read in class daily, either individually or in groups and receive a short reader to take home and practice with their parents. After a VERY busy time with all our holidays, it feels good to get back into a 'full week' routine. In English, we are already nearing the end of our first classroom reader, and 5th weekly story. Each story in our Pearson Reading Street Program, focuses on specific reading, writing and grammatical skills. Kitah Alef - is a year of many firsts! There are so many new skills we are learning, Kriyah - Hebrew reading and Kesivah - Hebrew cursive writing are just a few. The most exciting first - receiving our very first Siddur. We are very excited and are working hard on all our new reading skills, practicing and reinforcing what we already know so we can be very fluent and accurate readers.